OMG what did I get myself into!!!!!!!! Having worked with several lathes over the past 15+ years I had an idea of what I did and did not want. My first choice when purchasing a machine is always to try and go American. Secondly I try to stay away from major projects (looks as though I failed miserably with this purchase). Lastly I try to buy the best machine within my budget (typically my second choice gets worse as my desire to have the best goes up, if that makes sense). Well…here is my lathe! A lot dirty, needs electrical work, and needs a whole bunch of TLC. I have refurbish a few pieces of machinery in the past so I look forward to the challenge and I cannot wait to have a beautiful piece of American History. 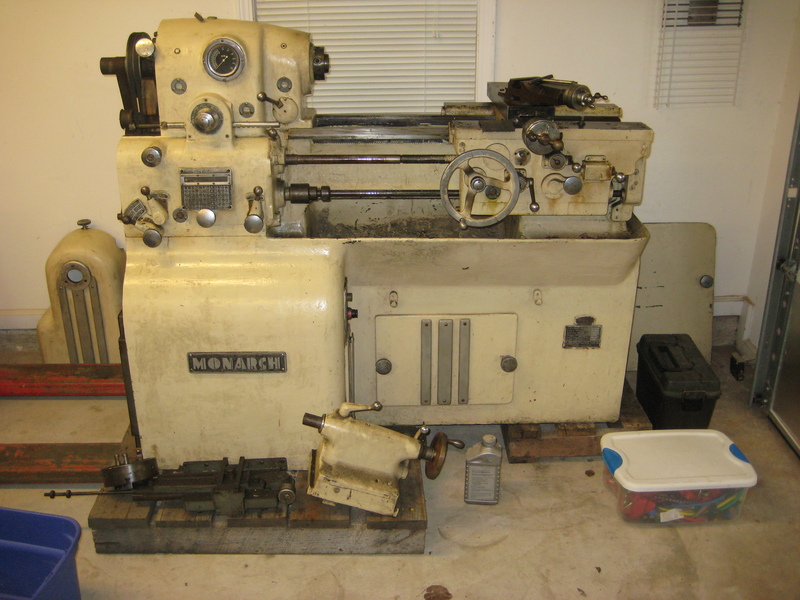 This entry was posted in Monarch 10ee and tagged 10ee, Lathe, Monarch, Monarch 10ee, Monarch 10ee Restoration, Restoration. Bookmark the permalink.